We apologize this year but this venue can not accommodate wheelchair or handicapped participants. There is one flight of stairs going to the main hall where our panels will be, and one flight of stairs going downstairs to the lower level for food and exhibitors. The phone number at Subud is 212-563-1196 if you need to contact them. This annual event is a non profit benefit event. All proceeds are 100% tax-deductible. 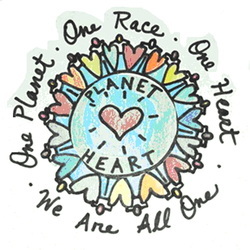 Planet Heart is a project of We, the World, a 501 (c) (3) non-profit organization (http://we.net/). Portions of all proceeds help benefit the mission of Planet Heart to produce these conscious events and We, The World to promote a sustainable world that works for everyone with no one left behind. Click "Donate" below to make a tax-deductible donation to Planet Heart and We, The World. If you are an exhibitor or sponsor, or would like to place an ad in our souvenir program use this button for payment. Thank you.